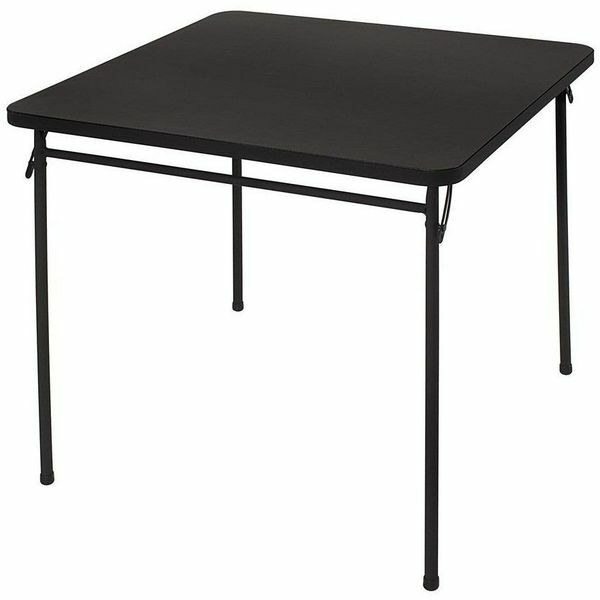 The Cosco 34″ Square Top Folding Portable Table in Black gives you room to seat four people for a game of cards or a meal. Very lightweight, the table is simple to carry and to store, and you can unfold it and fold it back up in just seconds. Need a folding table that can hold a heavy load? 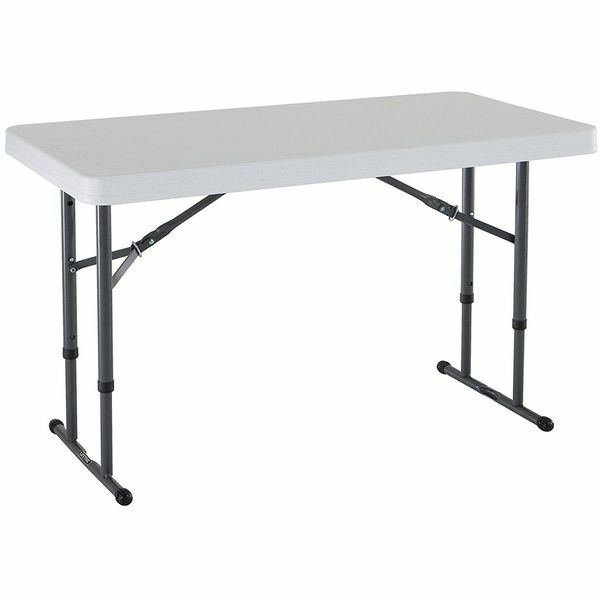 The Lifetime 4 Foot Adjustable Height Folding Utility Table is up for the job! The heavy-duty table has a sturdy top made out of HDPE plastic and strong powder-coated steel supports. The table folds in half and has a carrying handle. Get everything you need to set up an extra dining or seating area in a flash! 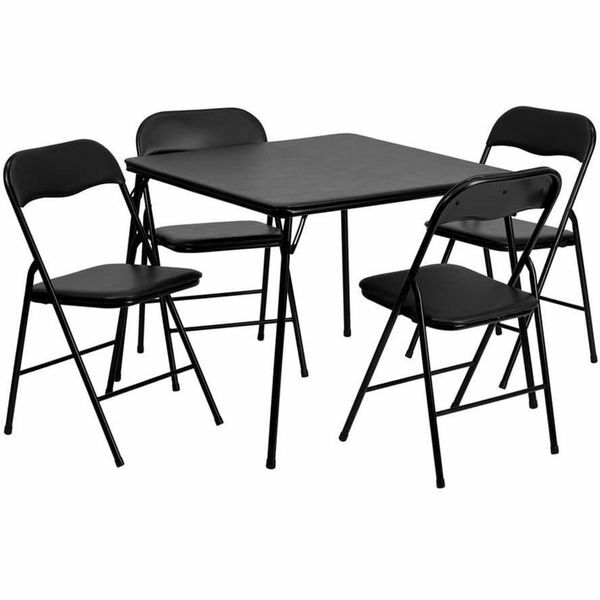 The Flash Furniture 5-Piece Folding Card Table and Chair Set includes a folding square table and four matching folding chairs in a go-with-everything black finish. The set can easily be used indoors or outdoors. 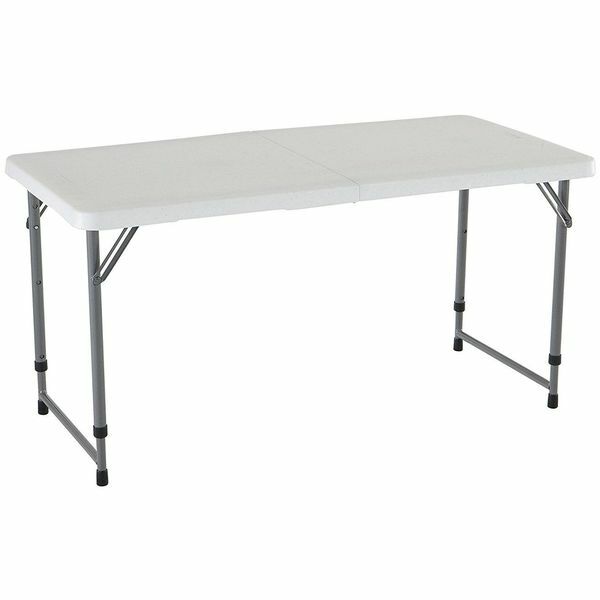 The Lifetime 4-Foot Commercial Adjustable Height Folding Table, White Granite Tabletop with Gray Frame is a uniquely designed table that can be collapsed down to a 29-inch height that’s perfect for kids or raised to a height of up to 36 inches for use with counter stools. The table has a stain resistant top to simplify cleaning. Why put your picnic on the ground when you can keep your food on the Portable Table with Carrying Bag? 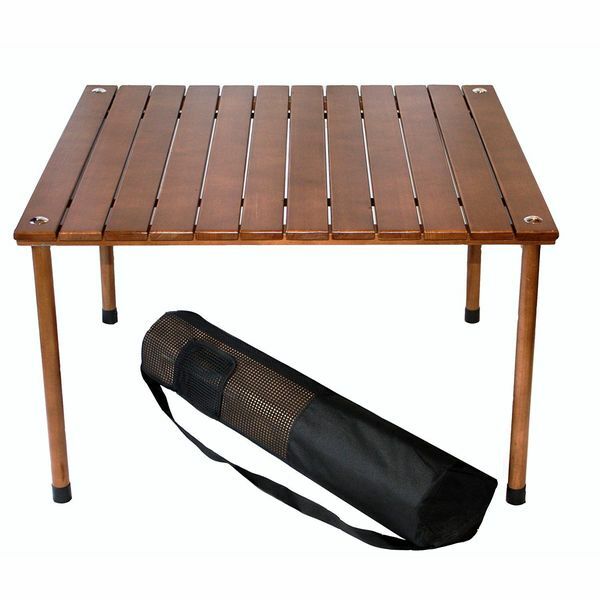 This portable table is 16 inches tall, making it ideal for use when you’re seated on cushions or on the ground. A carrying bag is provided to make it easy to tote the table wherever you go. 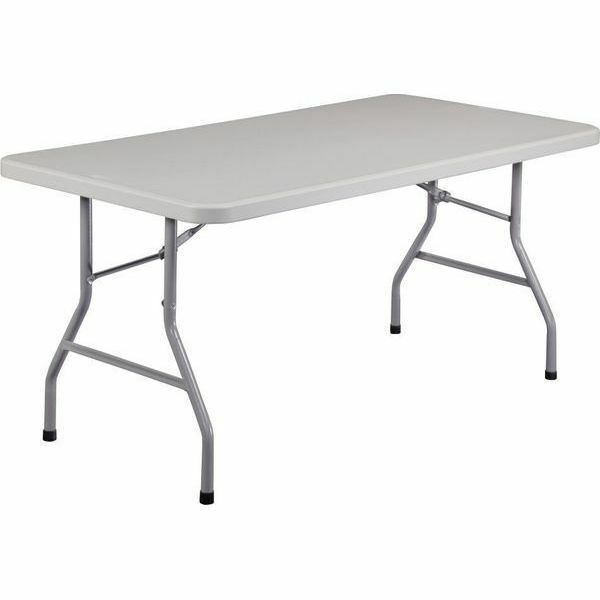 With this NPS Heavy Duty Folding Table, you’ll be given the convenience of a multifunctional table that can make any event or outdoor living space easier to navigate. The durable table features a 60-inch-long rectangular plastic tabletop that is supported by a 17 gauge stainless steel frame which can support up to 1,000 pounds of distributed weight.